We accumulated so many thoughts, even during sleep we think. 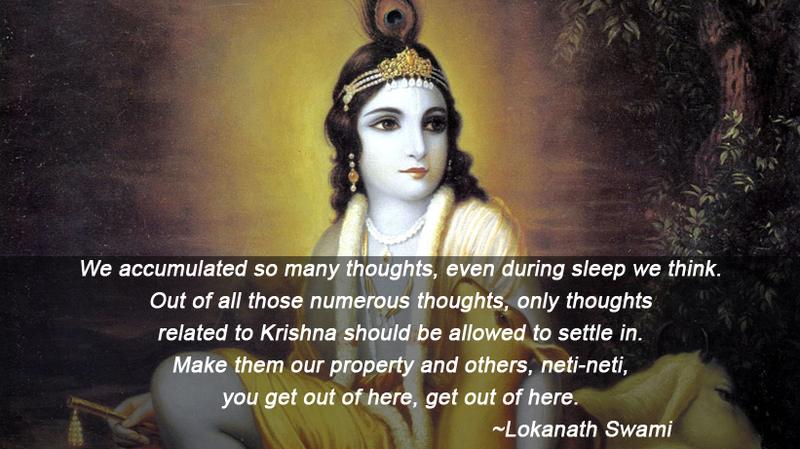 Out of all those numerous thoughts, only thoughts related to Krishna should be allowed to settle in. Make them our property and others, neti-neti, you get out of here, get out of here.